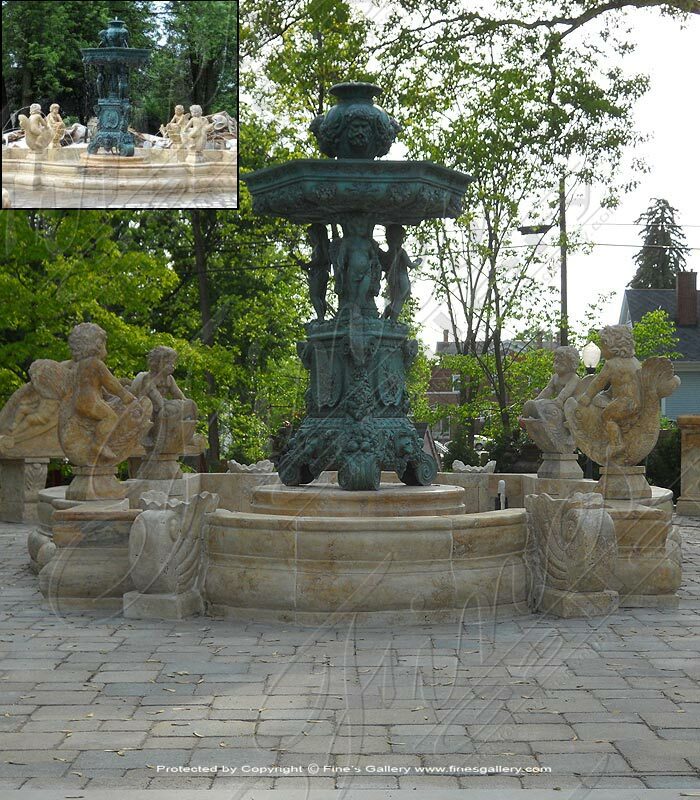 Dimensions: H: 76" W: 51" D: 31" View Colors Call Us! 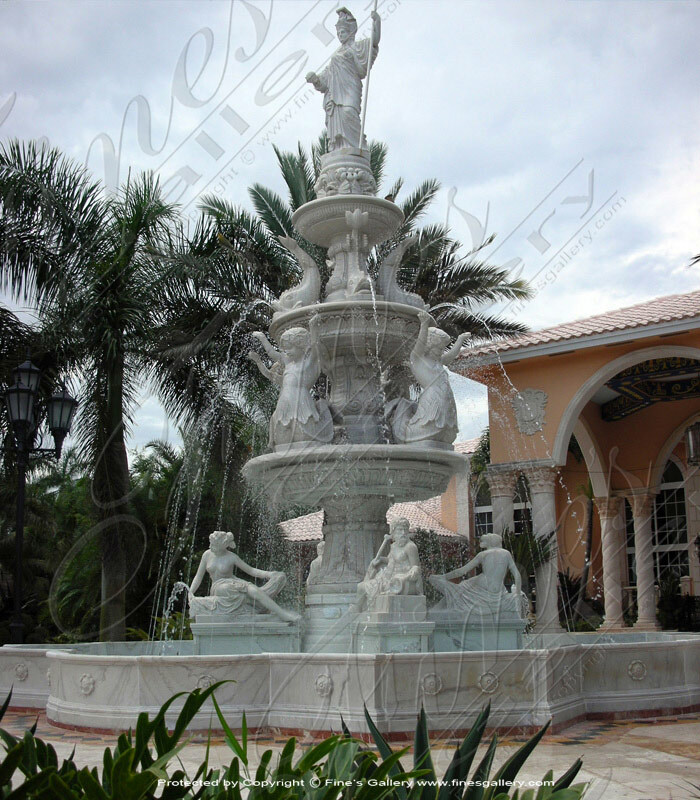 Dimensions: H: 60" W: 32" D: 28" View Colors Call Us! 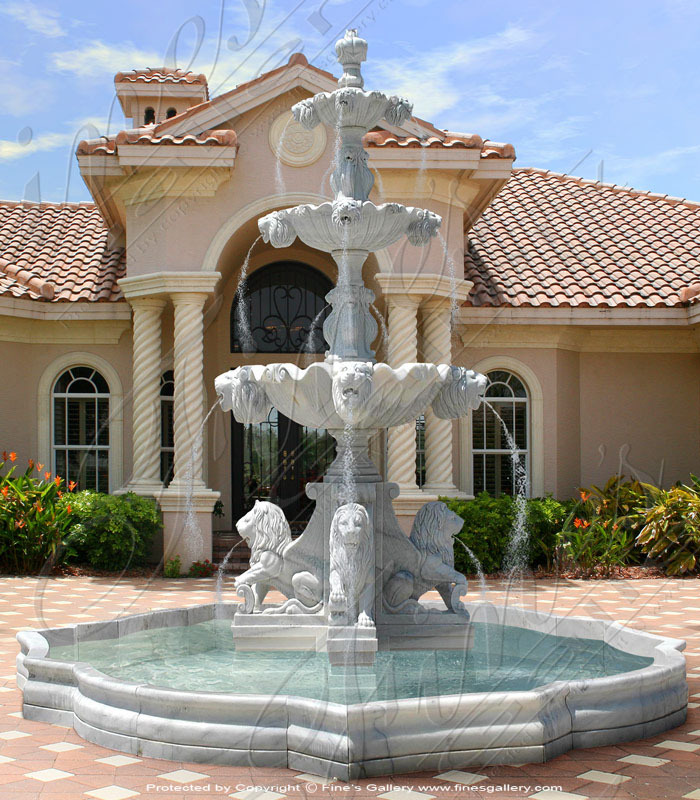 Dimensions: H: 58" W: 39" D: 39" View Colors Call Us! 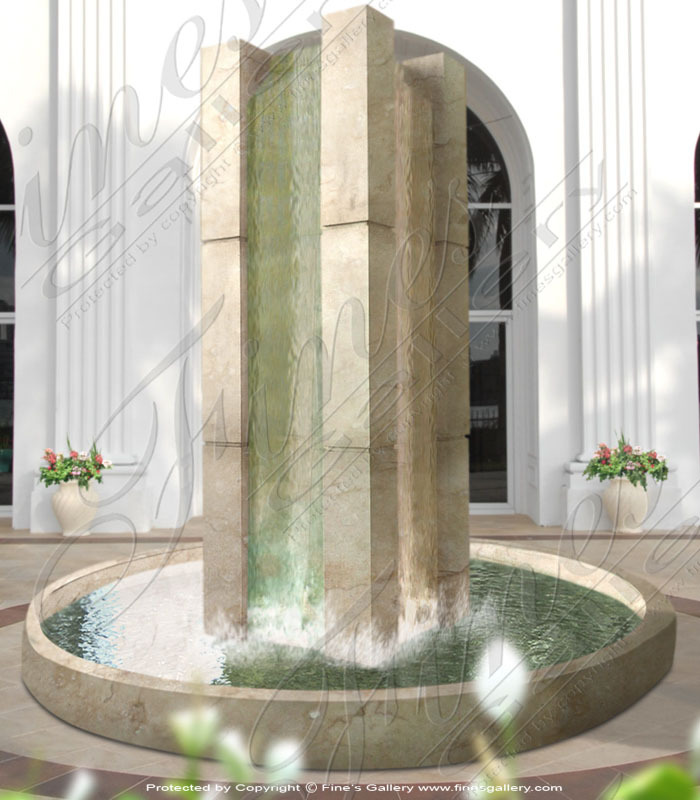 Dimensions: H: 70" W: 37" D: 31.5" View Colors Call Us! 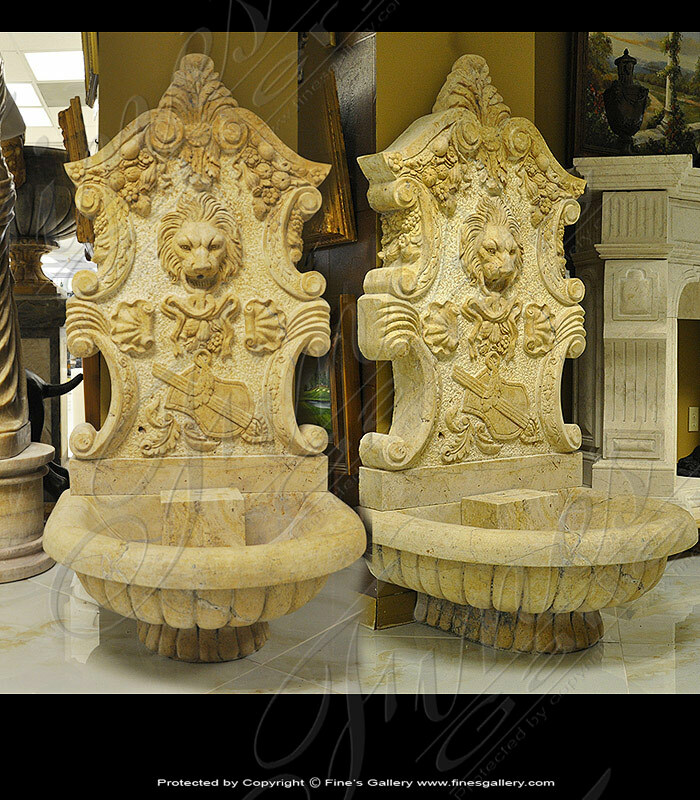 Carved from a rustic earth toned marble this two tiered marble wall fountain is available for a limited time only. 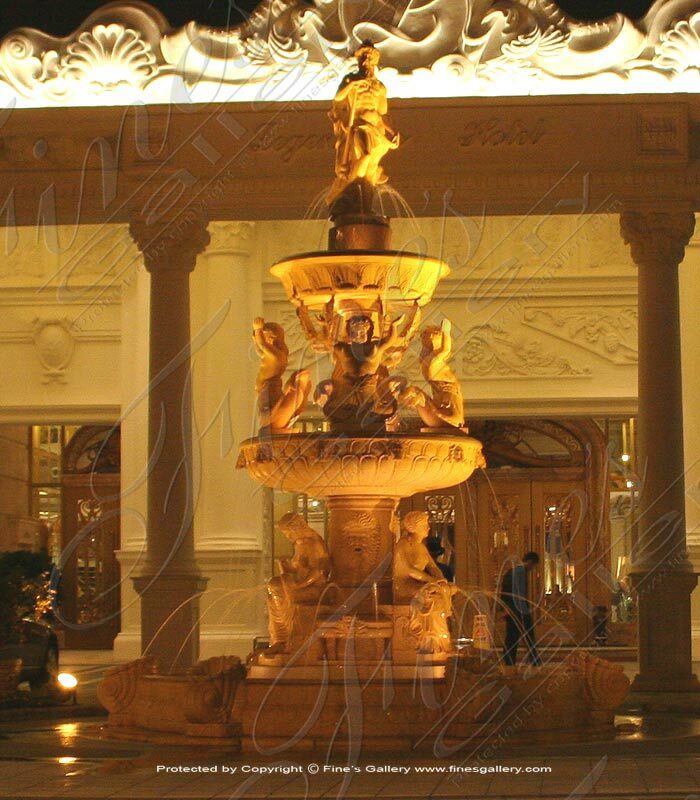 Contact a sales rep at 1.866.860.1710. 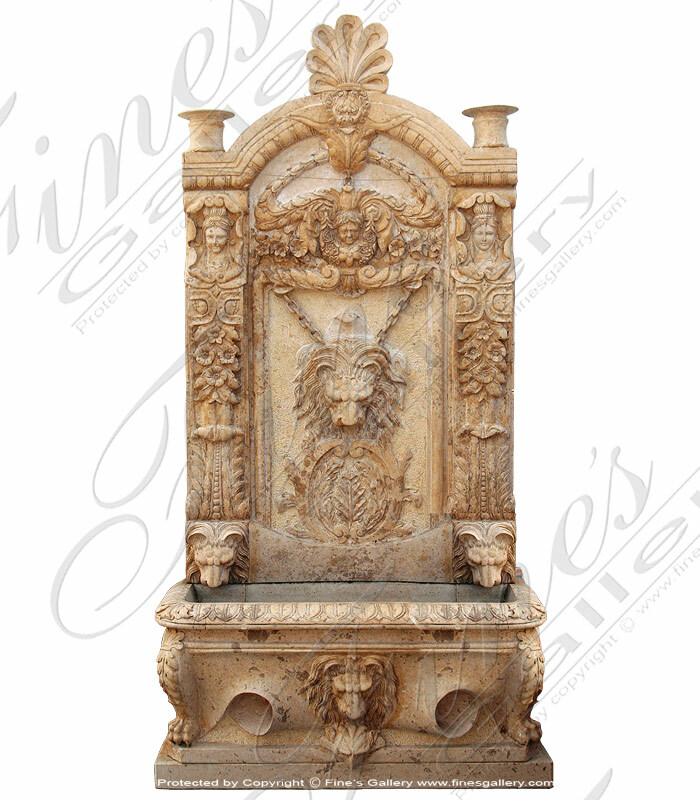 Dimensions: H: 63" W: 26.5" D: 18" View Colors Call Us! 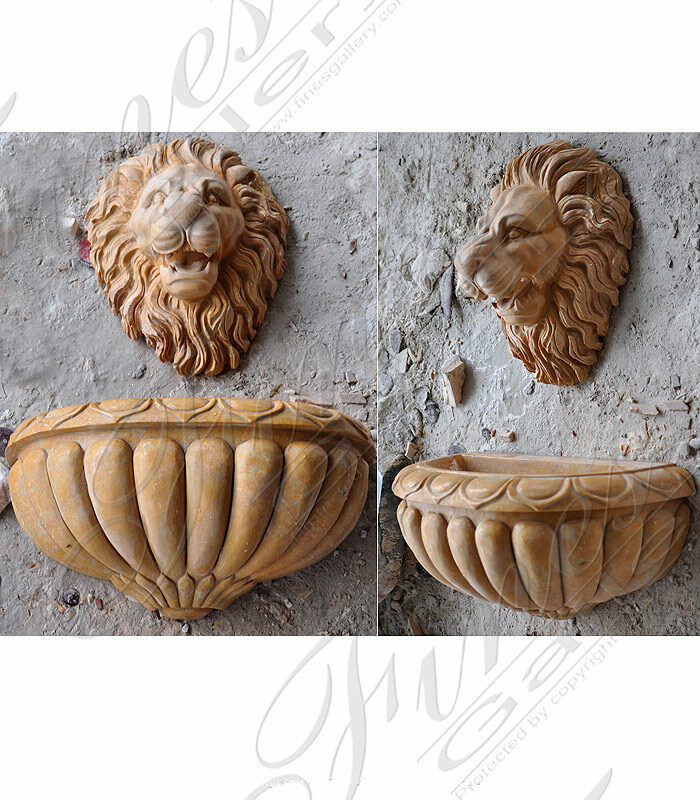 A light tan marble lion head and catch basin are sold as a set. 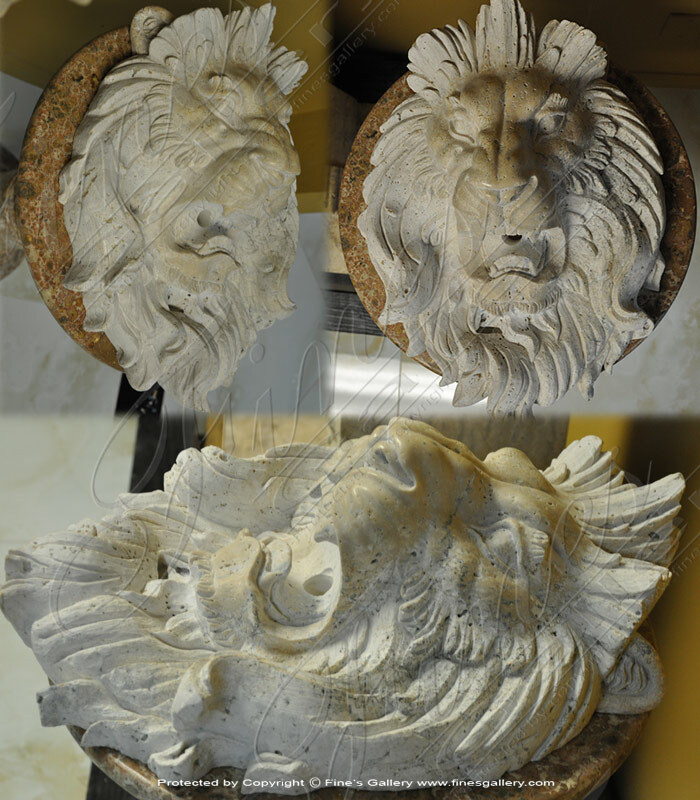 The lion head is sized at 16 inches wide x 18 inches tall x 9 inches depth. 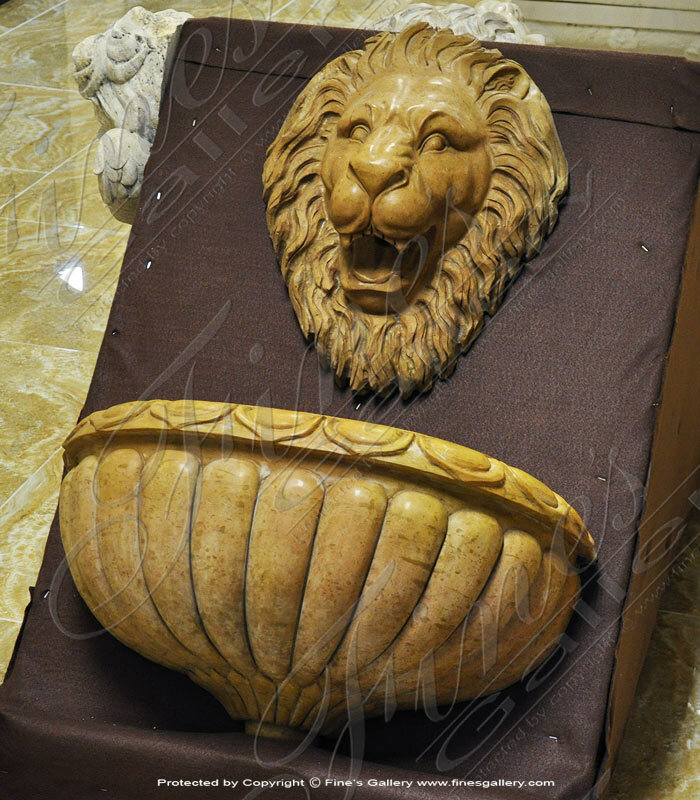 The catch basin is sized at 24 inches wide x 12 inches tall x 12 inches depth. 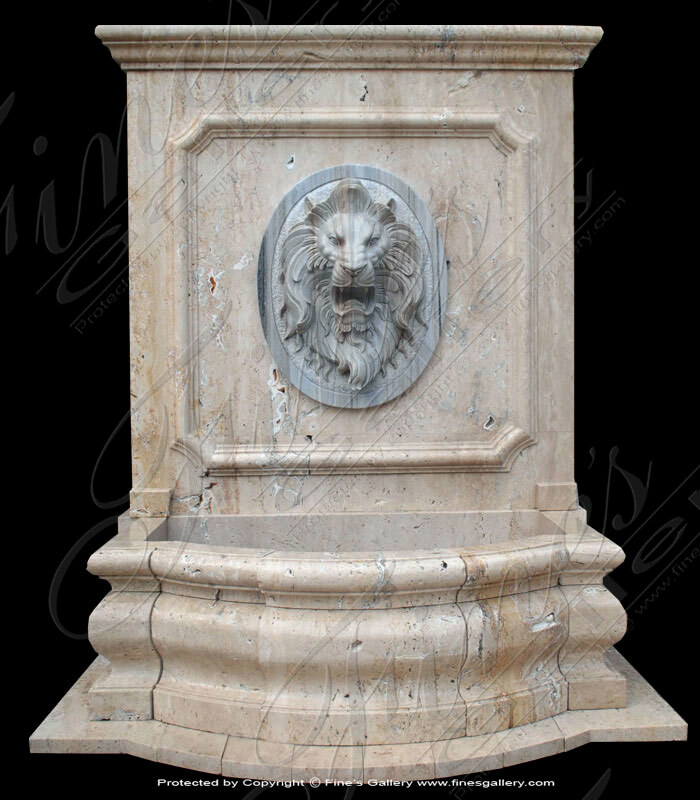 A stunning hand carved Roman Lion Head Fountain in Marble. 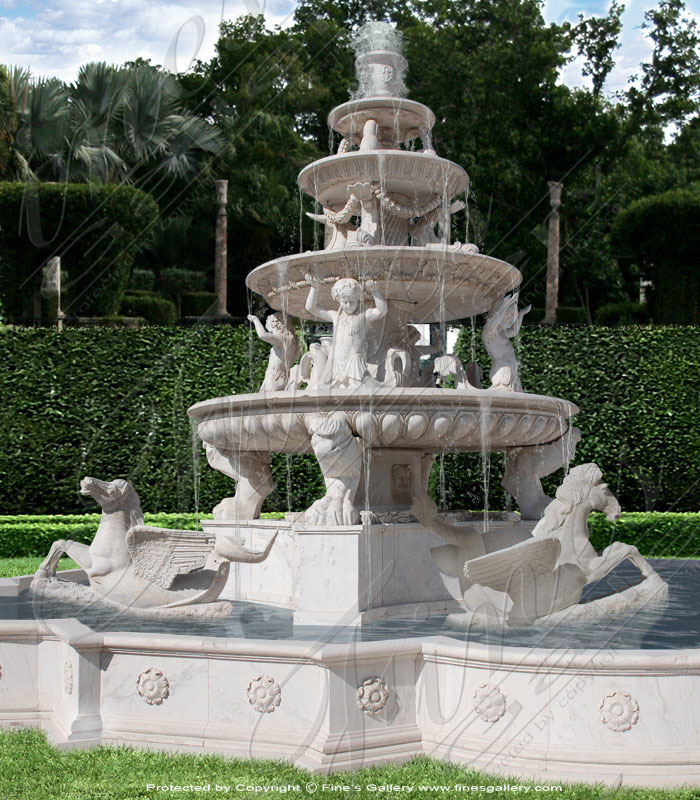 This is available for delivery Nationwide. 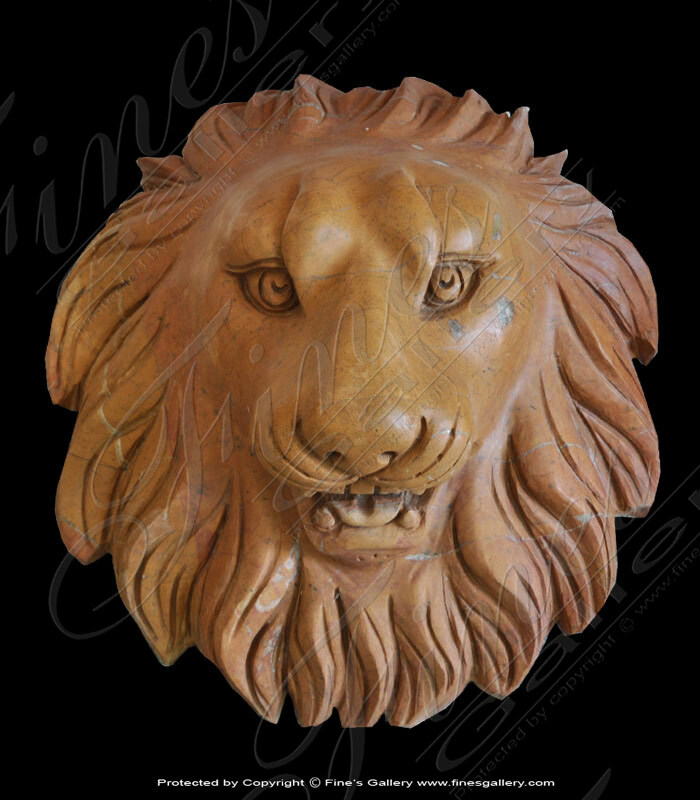 Lion head 15 1/2 wide x 18 tall x 9 depth. 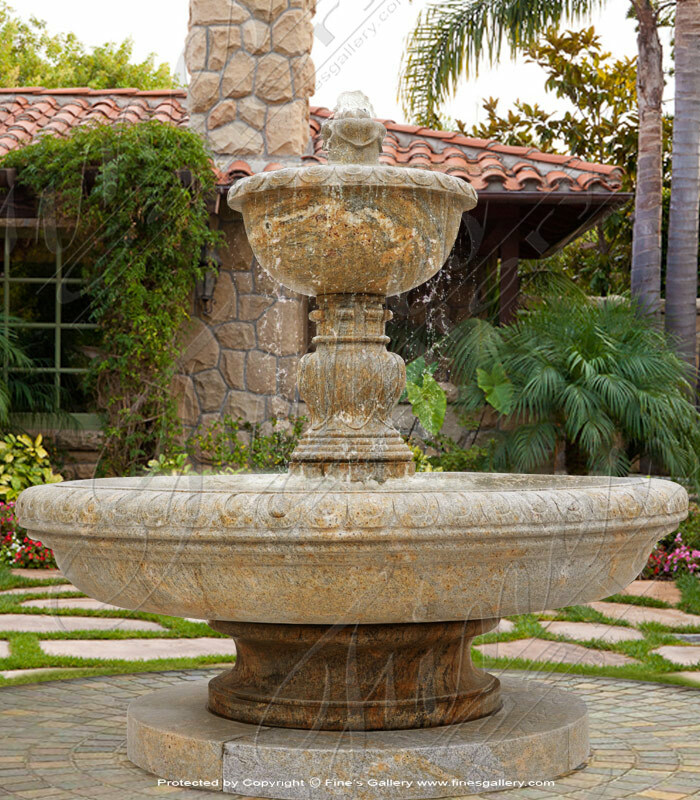 Bowl 24 wide x 12 tall x 12 depth. 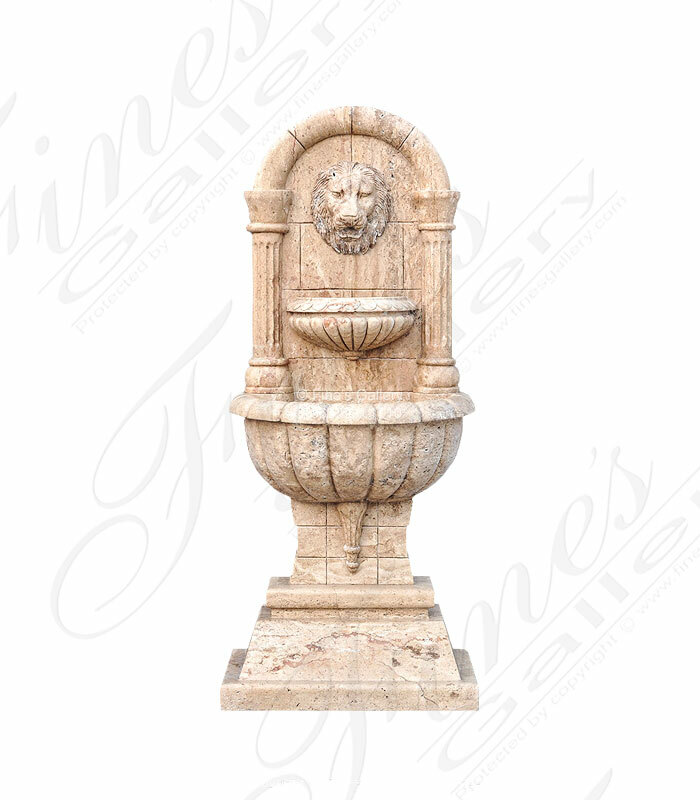 Choose from endless array of marble, granite & travertine options. 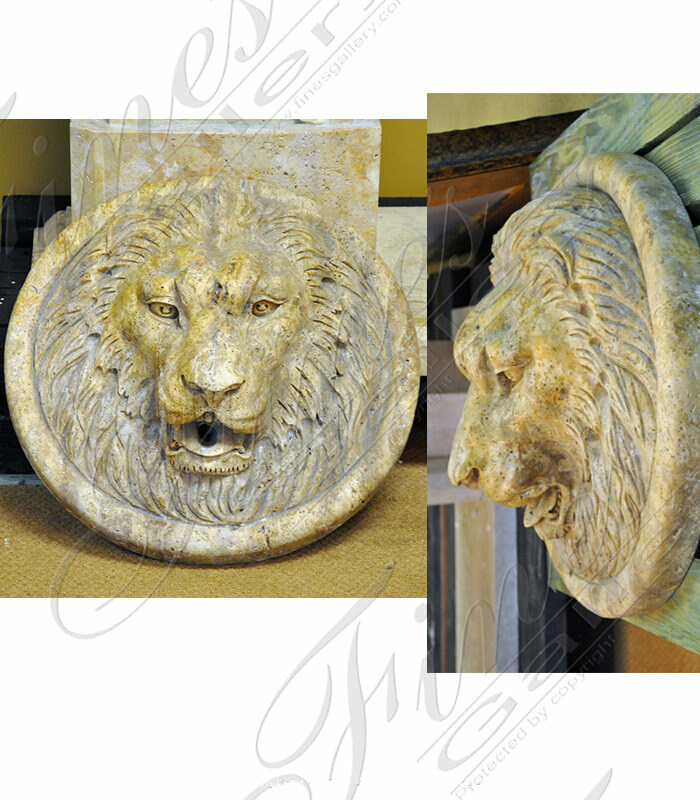 Carved from natural earth tones this travertine lion head wall mount fountain is 20" in diameter. 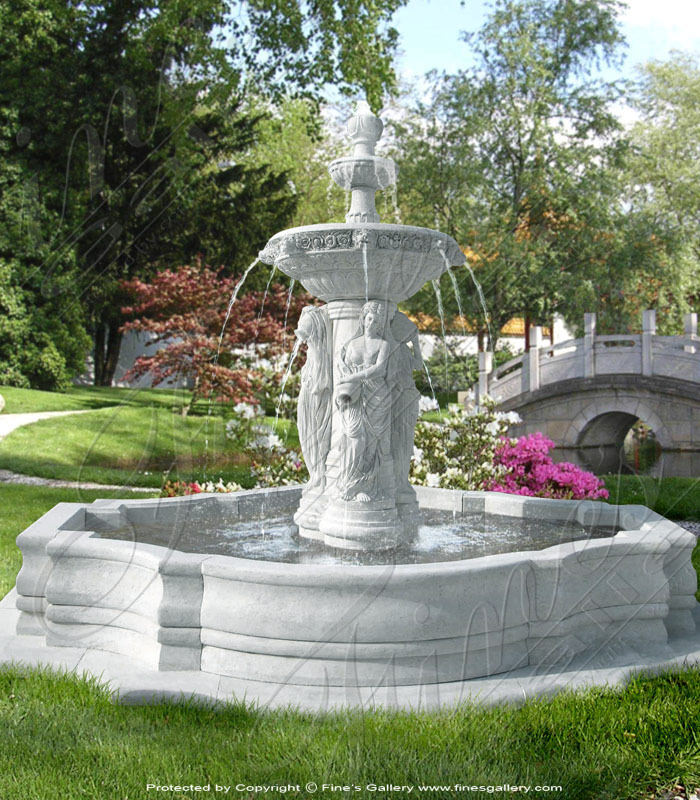 Available to be customized according to your requirements. 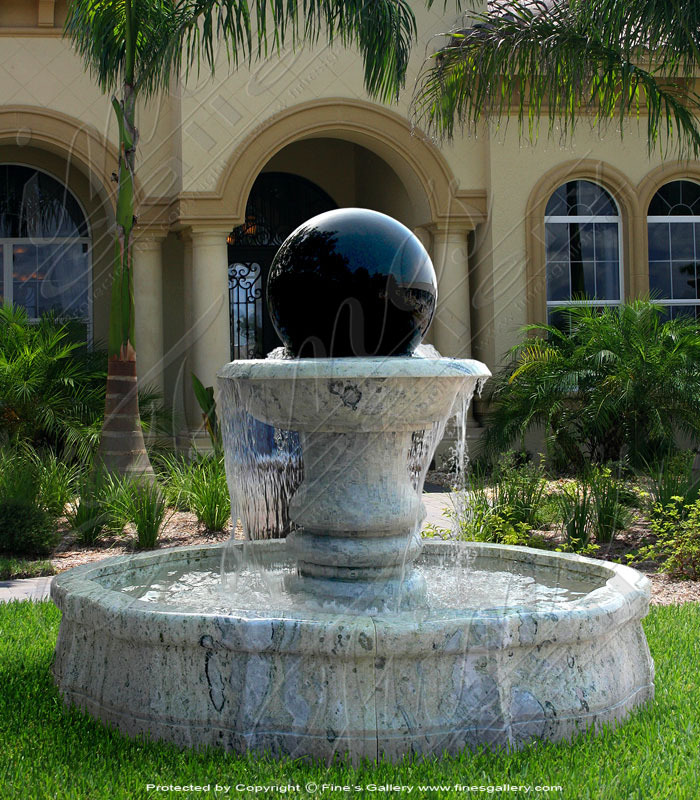 Dimensions: H: 20" W: 20" D: 8" View Colors Call Us! 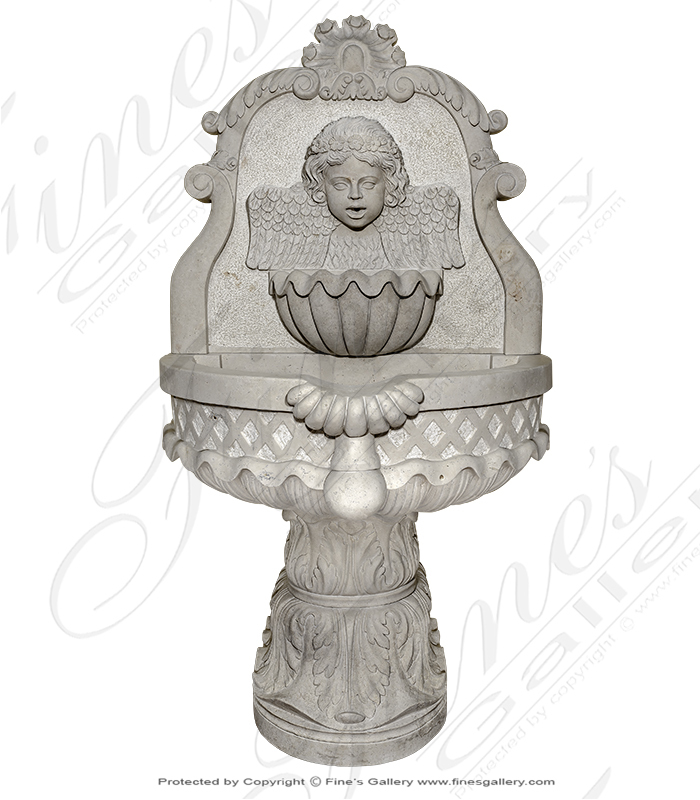 Dimensions: H: 53" W: 26.5" D: 18" View Colors Call Us! 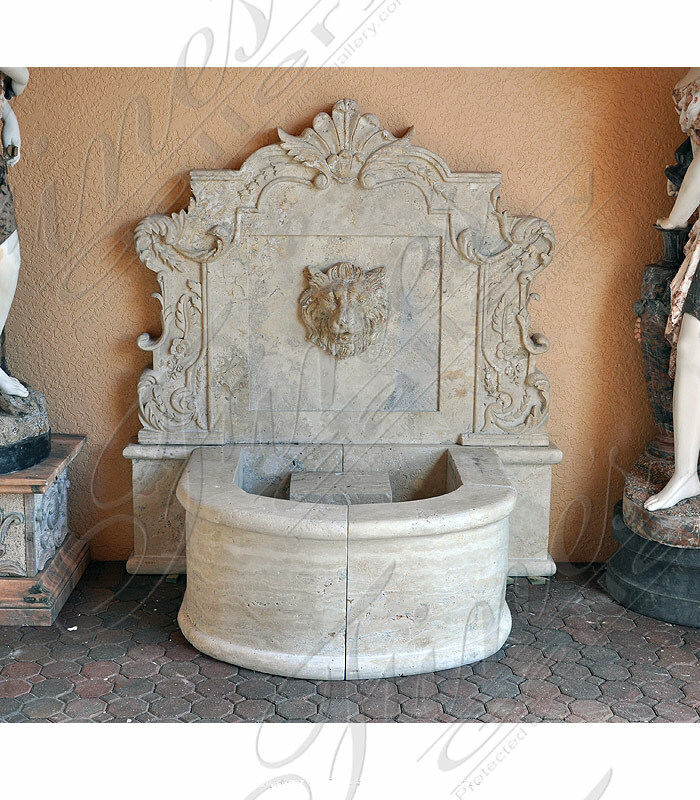 This hand carved travertine wall fountain is typically installed above a pool as a water spout. 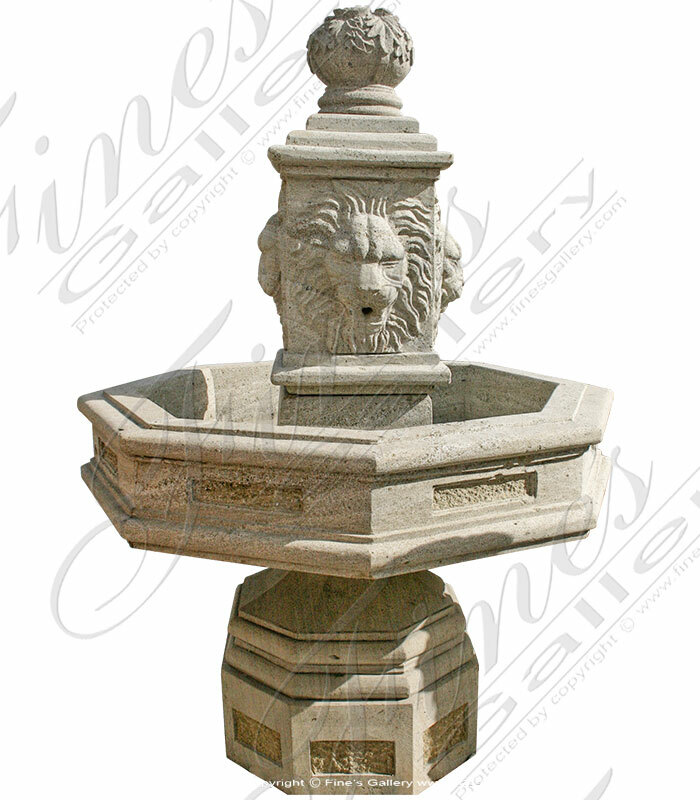 We also sell matching basins to catch & recirculate the water. 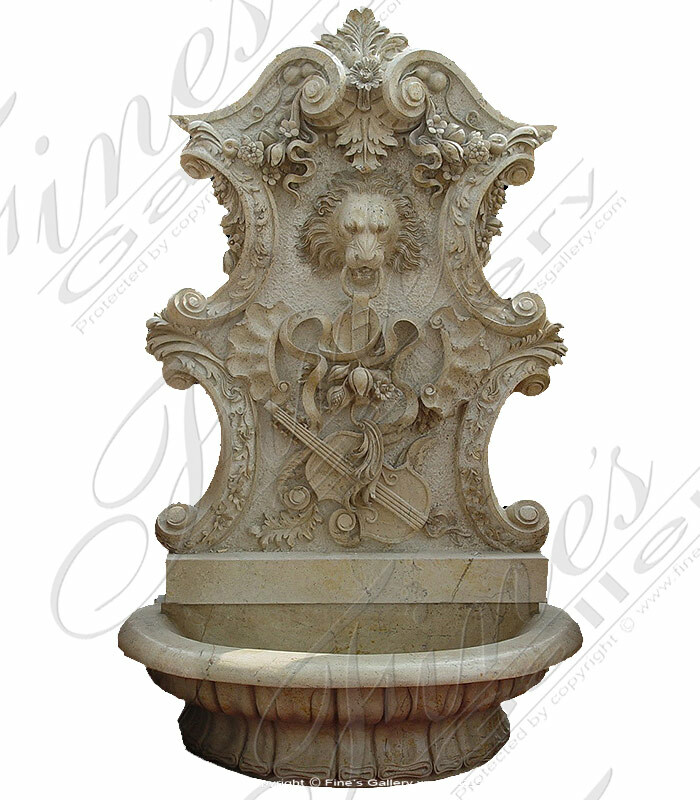 Dimensions: H: 19" W: 15.5" D: 8" View Colors Call Us! 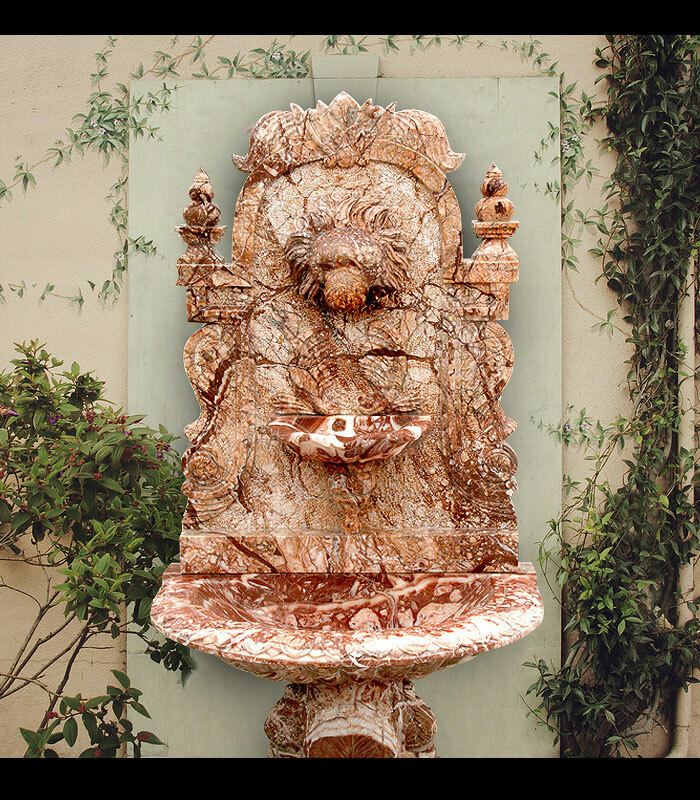 Dimensions: H: 36" W: 36" D: 8" View Colors Call Us! 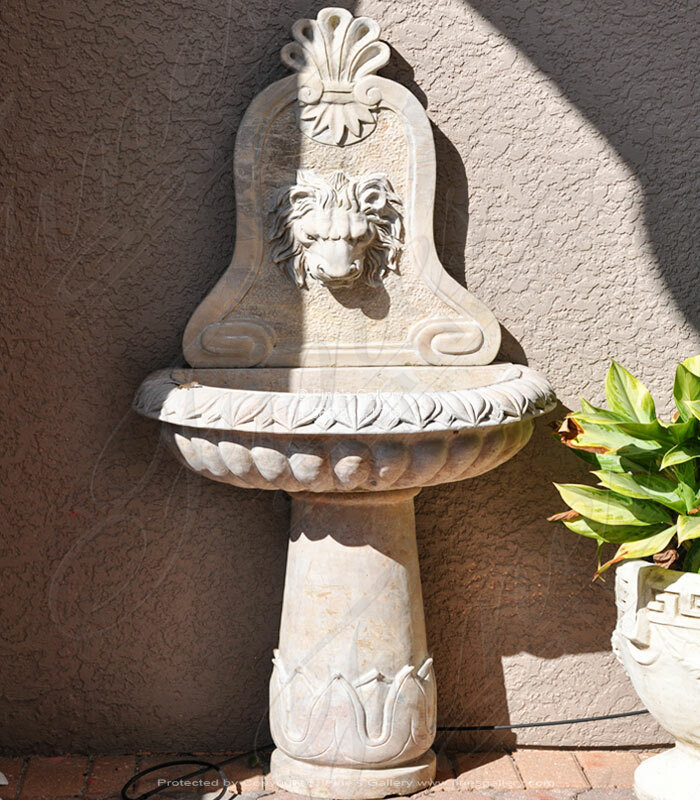 This is a beautiful piece to enhance an outdoor wall. 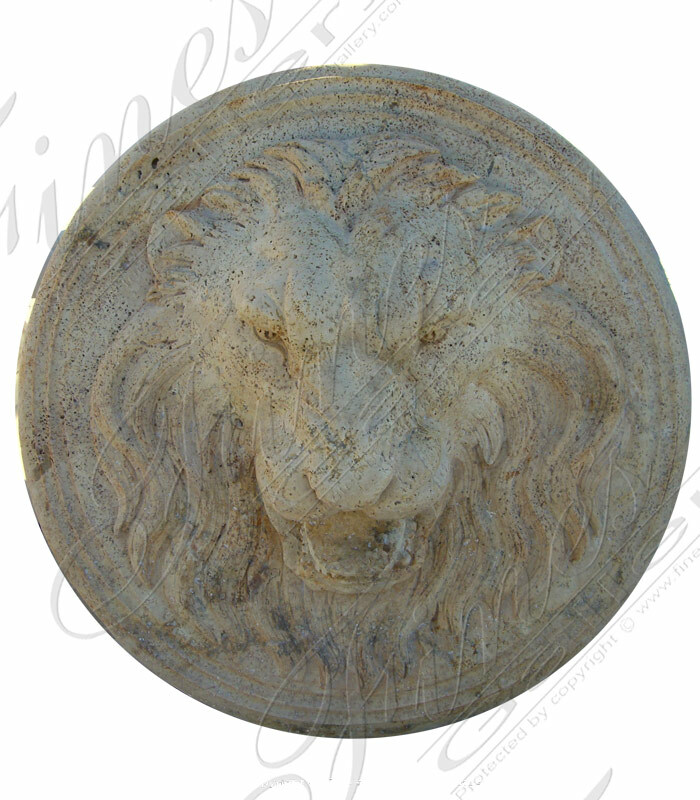 A finely detailed lion's face is skillfully hand carved in gorgeous marble with gray and warm tones. 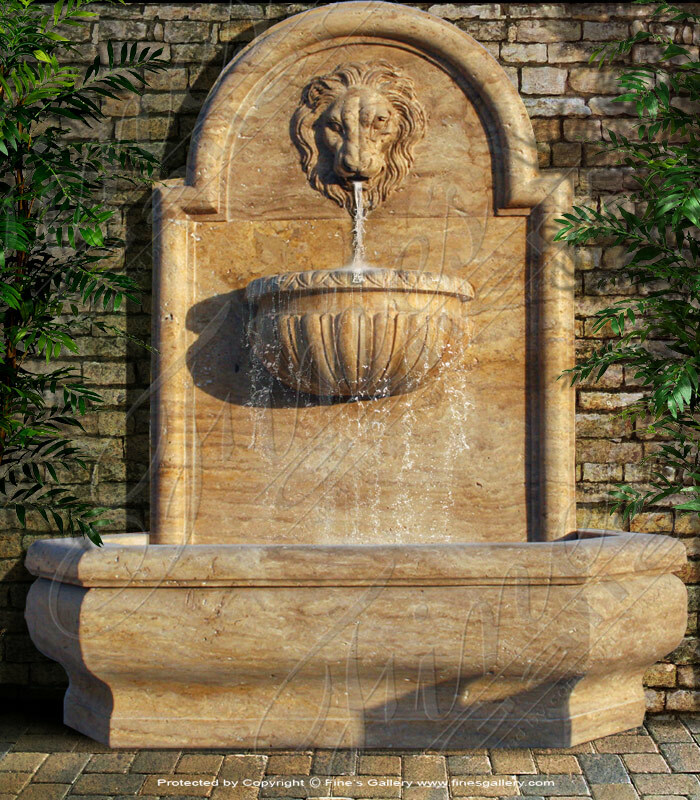 Water pours all day long from his open mouth, creating a relaxing background melody. 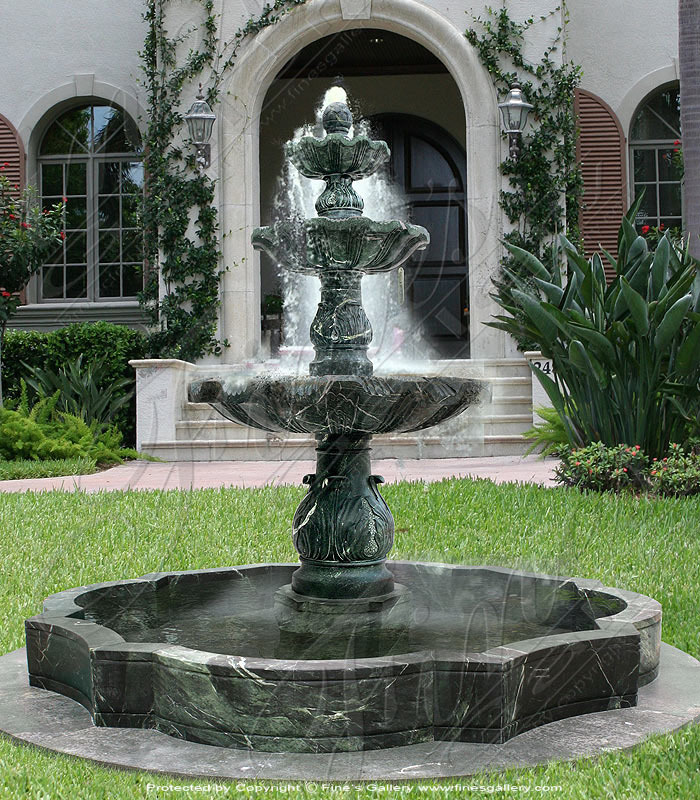 Dimensions: H: 18" W: 12" D: 8" View Colors Call Us!